Disney has announced that a special sneak preview of the new film A Wrinkle in Time is coming to Disneyland and Disney’s Hollywood Studios. Guests at Disneyland will be able to see the film in 3D with special in-theater effects at the Sunset Showcase Theater. And, at Disney’s Hollywood Studios the film will be presented as part of the Walt Disney Presents attraction. The film is directed by Ava DuVernay and is based on based on Madeleine L’Engle’s novel. 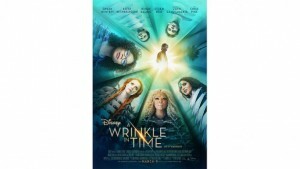 The film stars two-time Academy Award nominee Oprah Winfrey, Oscar winner Reese Witherspoon, and Emmy nominee Mindy Kaling. The special sneak preview starts January 9 at Disneyland and February 9 at Disney’s Hollywood Studios. The film opens nationwide on March 9.